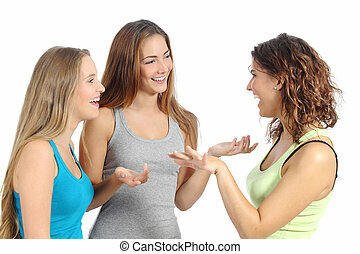 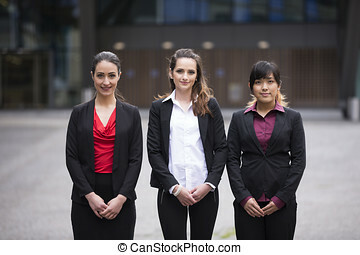 Portrait of three business women. 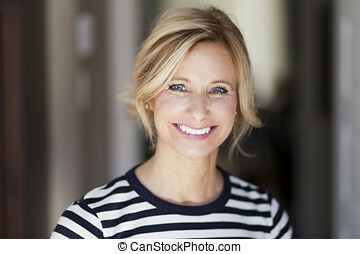 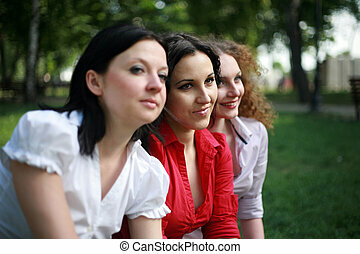 shallow depth-of-field, focus used to highlight the woman in the middle. 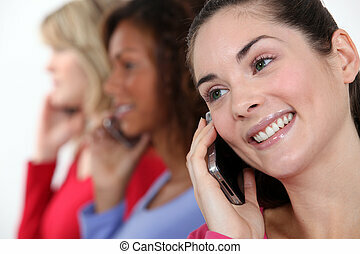 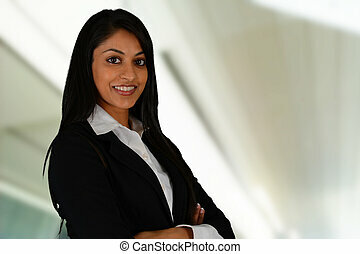 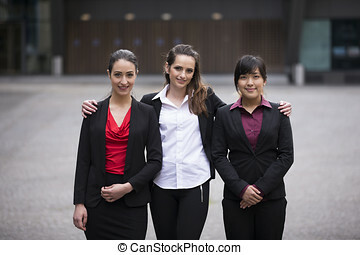 interracial group of business women. 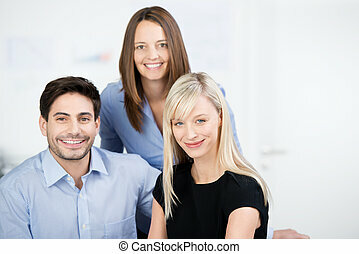 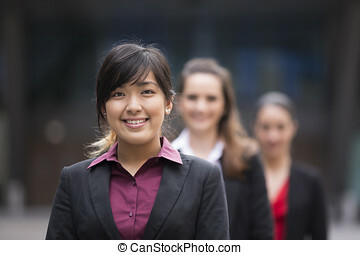 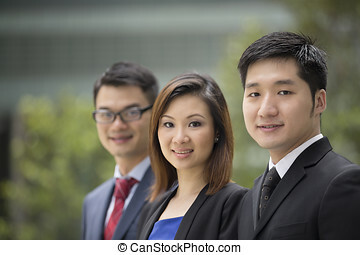 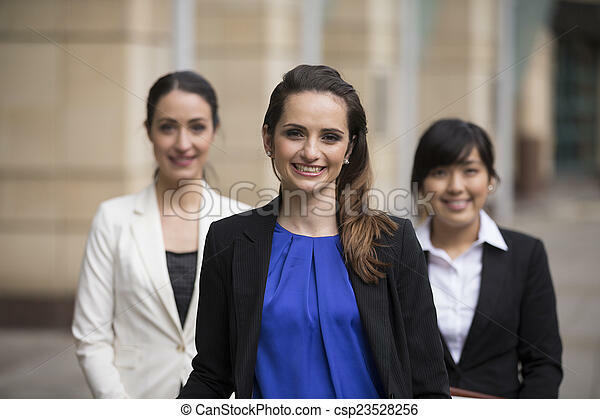 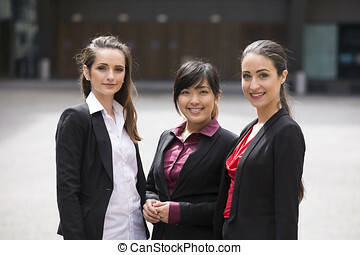 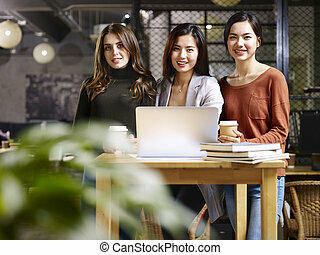 portrait of three happy business women asian and caucasian looking at camera smiling. 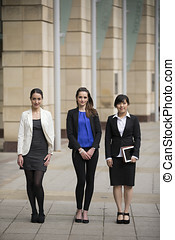 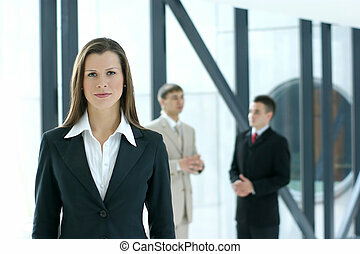 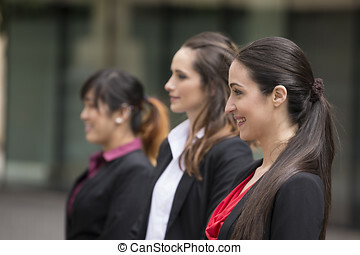 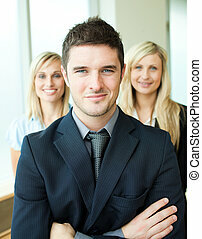 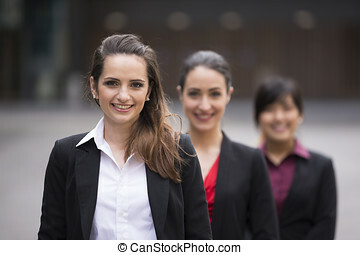 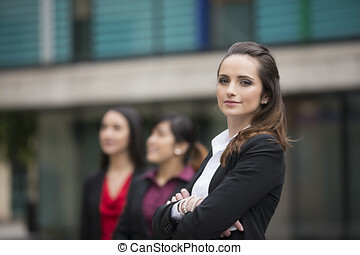 Portrait of three business women standing in a row. 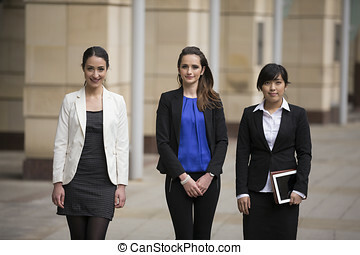 Interracial group of business women. 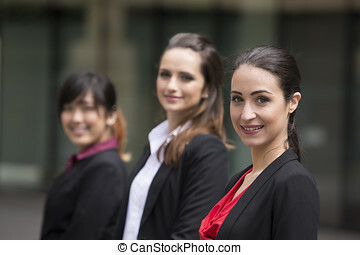 Portrait of three business women. 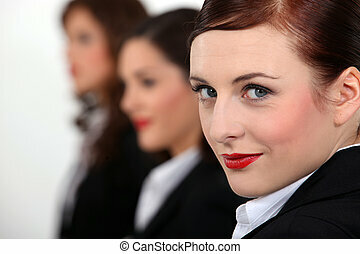 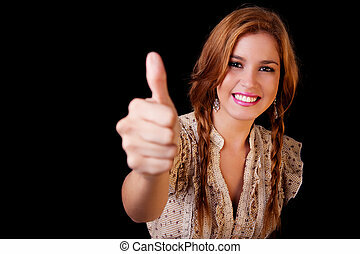 Focus is on caucasian woman at the front. 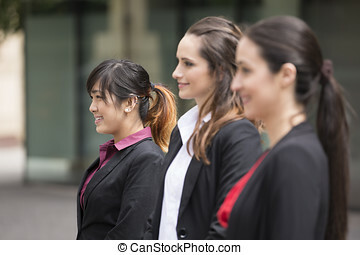 Interracial group of business women. 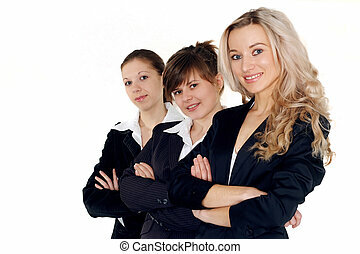 Portrait of three business women. 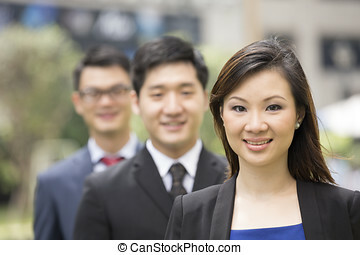 Focus is on asian woman at the end. 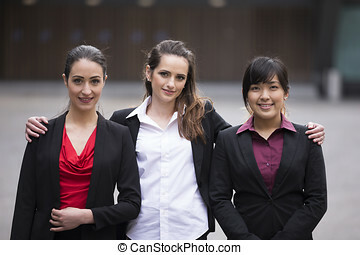 Interracial group of business women. 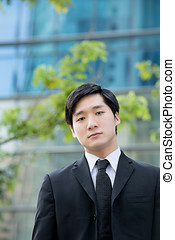 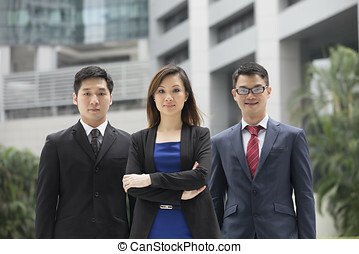 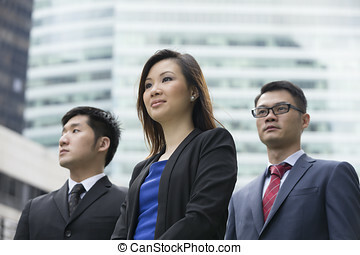 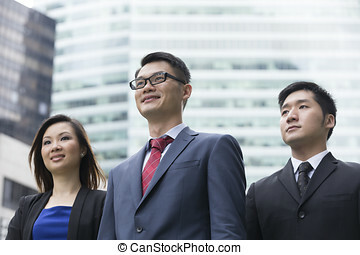 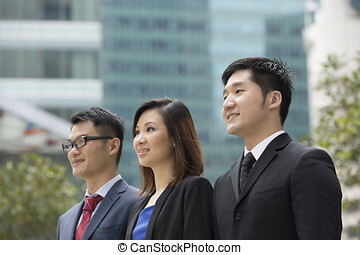 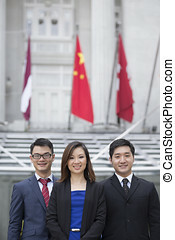 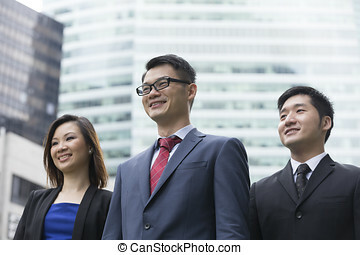 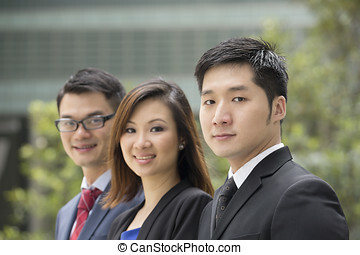 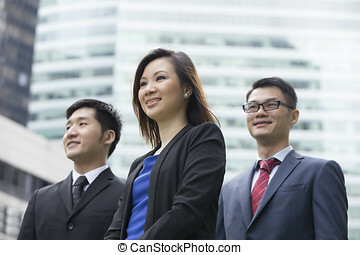 Portrait of Chinese business people standing outside. 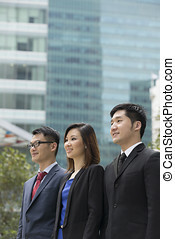 Urban Cityscape in the background.